As the largest island in Hong Kong, Lantau Island has something for everyone. If it’s a taste of culture, a feast for your eyes, food for thought or just food you want, let Lantau Island oblige. Unless, of course, a traditional fishing village, unrivalled sunset (and sunrise) vantage points, uplifting spiritual monuments and buildings, freshly caught seafood, friendly locals and long sandy beaches don’t sound like your thing? And if that’s the case, I’d probably just stay at home. 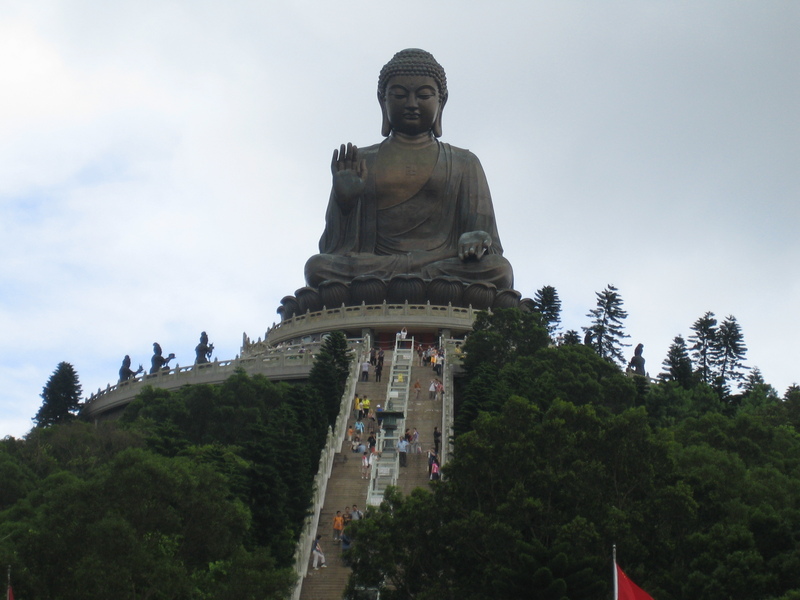 Officially named Tian Tan Buddha, this huge steel and bronze statue has his head angled and his right hand raised as if he is giving a blessing to all. The statue is affectionately known as ‘Big Buddha’, took twelve years to build, and faces north towards mainland China to watch over the Chinese people. Located in the Ngong Ping hills, a short distance from Po Lin Monastery and the Big Buddha, the Wisdom Path is comprised of 38 wooden monuments – or steles – stood upright and bearing verses from the Heart Sutra; an ancient but well-known prayer revered by Buddhists, Confucians and Taoists alike. The Tai Olocals have been building their homes on stilts along the waterfront for generations, earning it the title of Hong Kong’s Venice. Browse the traditional market stalls, take a trip on a dragon boat or just sit in a café and absorb the atmosphere of this surreal fishing village.